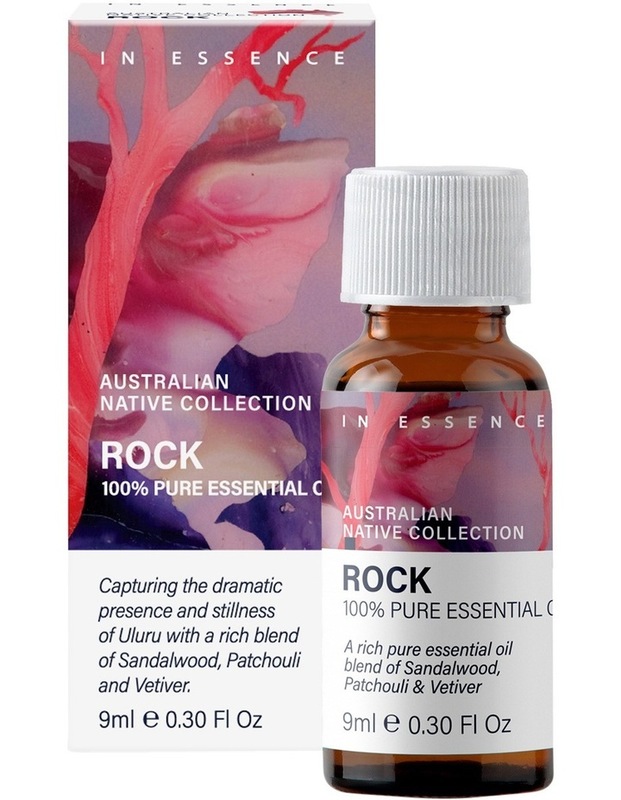 Australian Native Lifestyle Blend Rock 9ml Rich base notes and resins of Sandalwood, Patchouli and Vetiver remind us of the stillness of Uluru while the sweetness of ylang ylang and orange form the heart of this meditative blend. METHODS OF USE: VAPORISE: 6 drops to bring pleasure to the senses and release the purity of the Australian landscape into your home. MASSAGE: Combine 3 drops in total to 12 mL massage base oil and massage onto area of discomfort. SPRITZ: 6 drops in 100ml Spritz bottle of water and spray surrounding air avoiding eye areaContains: Pelargonium Graveolens Leaf Oil (Geranium) Citrus Aurantium Dulcis peel (Australian Native Orange), Pogostemon Cablin Leaf (Patchouli), Cedrus Atlantica Wood Oil (Cedarwood), Lavandula Angustifolia Oil(lavender), Rosmarinus Officinalis Leaf Oil (Rosemary) Mentha Piperita Oil (Tasmanian Peppermint Oil), Vetiveria Zizanoides Root Oil (Vetiver) Amyris Balsamifera Wood Oil (Amyris) Cananga Odorata Flower Oil(Ylang Ylang) Origanum Majorana Leaf Oil (Marjoram) Santalum Spicata Wood Oil (Australian Sandalwood) Not for Internal use. Keep out of reach of children. Seek medical advice if symptoms persist. Store below 30C 9mlsStore below 30C. Please recycle.